Because I think about products fairly often and want to keep that separate from news about the Commerce Team, I'm curating a separate blog called Want. 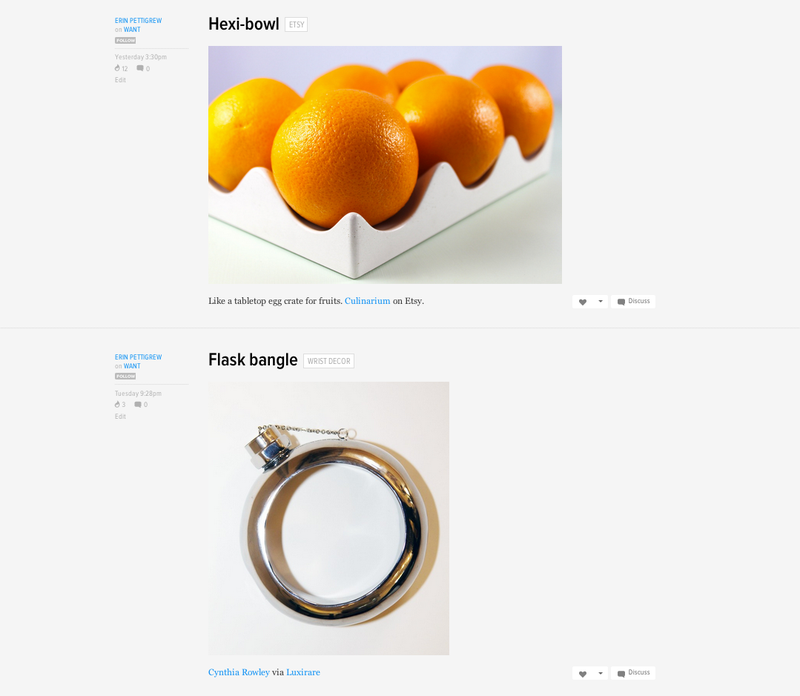 For now Want is a small list of products I've found or shared from other users' blogs. But I'm hoping it can become a richer content stream that you can come to often for discovery. So keep on posting the things you love. I'll do my best to find and add the items that are really beautiful or made to inspire.